Quarrying & Mining Magazine features another success story about connected communication, for the weights and measures industry with, Frews Contracting, in their Contractor 2019 January Perspectives annual magazine. A family-owned company, Frews has been in business for 97 years now and has grown to a point where it has around 65 staff across its three sites. 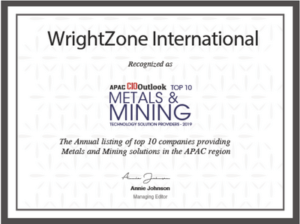 We implemented the WZWeigh solution in stages, starting with their Belfast yard being the busiest, and made it wireless. From there, Savills Road Quarry was rolled out with WZLoad (our loader scales tablet technology). And last but never least, the Hororata Quarry offering a remote rural location that is generator powered composing particularly challenging conditions, for our connected quarry business solutions. Savills Road Quarry had loader scales, and the supply yard in Factory Road had a slightly more complex system, but the quarry at Hororata had a very rudimentary system – the weigh docket had nothing more than the weight on it. We had a lot of double handling, and there was always the risk of losing dockets or having a data entry mishap. We’re definitely reaping the rewards. The process for the operators and drivers is not any harder than before, but the results are so much better. At my end, I can see everything as it happens – I can see when trucks are waiting, I can see the quantities coming and going – pretty much everything the quarries are doing from a transaction level, in real time. With a few clicks, I can see exactly how many tonnes of material have been delivered to a site. The software is great for invoicing, too, with a direct upload to our financials, as is the ease of reporting. Having everything on one cohesive system is great – it just makes it all simpler. When operators switch sites, it’s still the same system, which makes it easier for staff to cover for each other. Independent of existing machinery and systems. 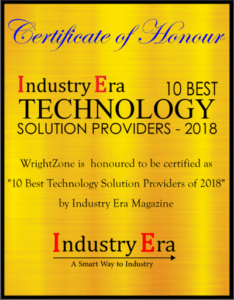 WrightZone is a technology solutions provider delivering, seamless start to end visibility and control; workflow and data management of business, and quarry operations.